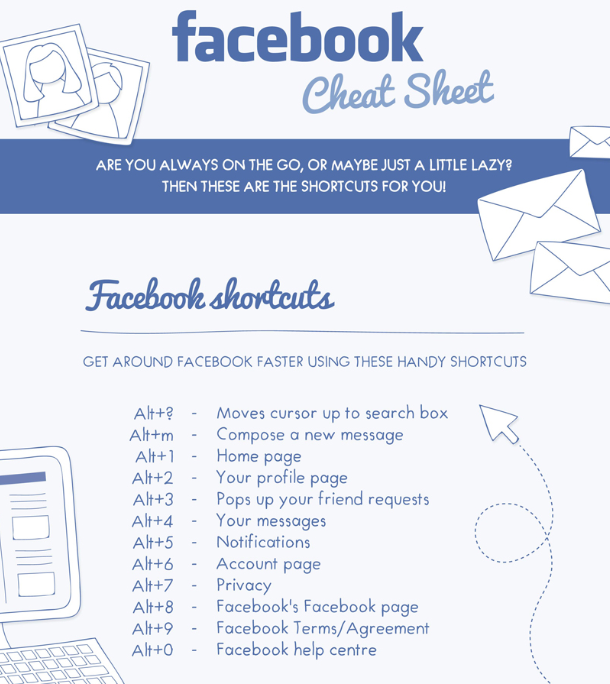 Facebook Keyboard shortcuts: this cheat sheet by mycleveragency shows you the keyboard shortcuts you need to be familiar with to use Facebook like a pro. 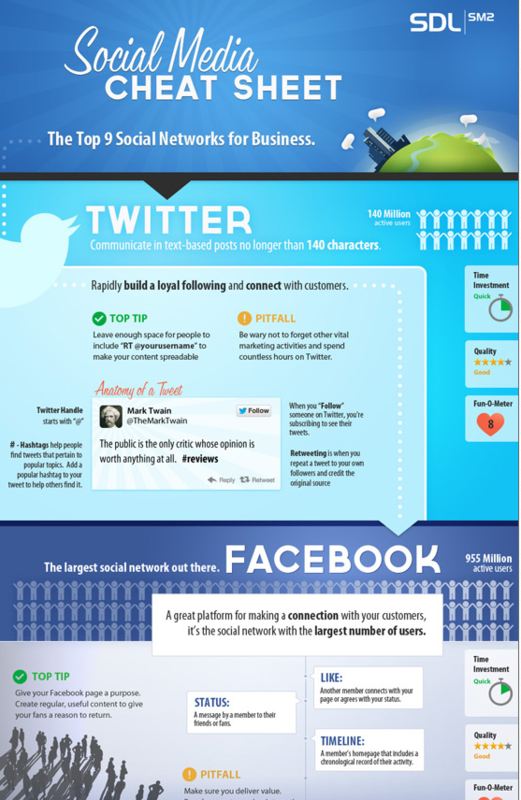 Social media cheat sheet: this cheat sheet by SDLSM2 provides you with a crash course on what top social networks such as Facebook and Twitter are about. Facebook Photo Size Cheat Sheet: this cheat sheet by Social Bakers shows you the right photo sizes you need to put your Facebook profile together. Facebook Timeline For Business Cheat Sheet: mastering your Facebook Timeline could make a big difference towards helping you get more out of your social media efforts. 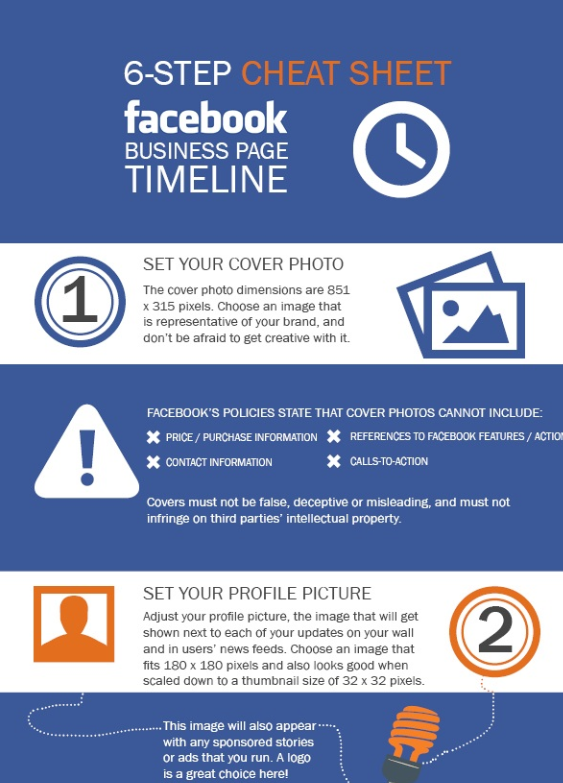 This cheat sheet for businesses shows how to get the most out of Facebook Timeline. 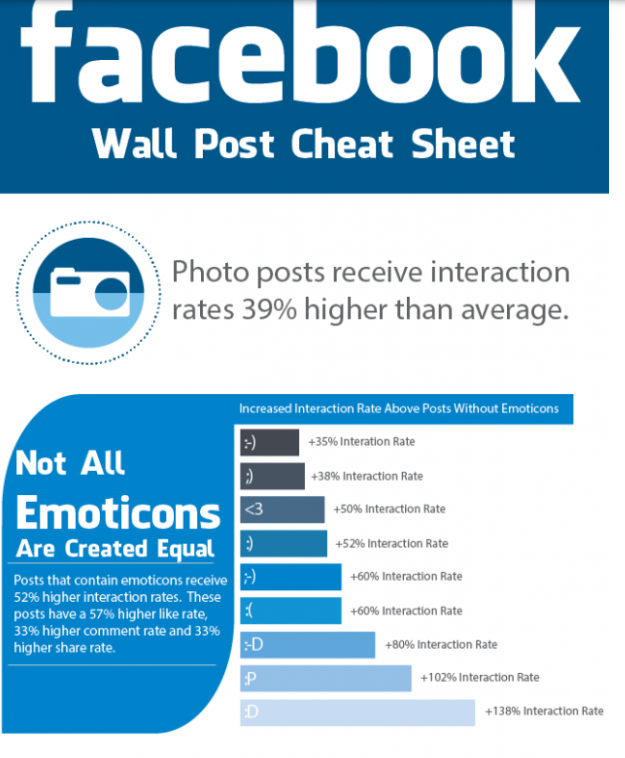 Facebook Wall Post Cheat Sheet: just having a good looking wall on Facebook won’t get you the best results. You need to also optimize your content to get more engagement from your visitors. This infographic by LinchPinSEO shows how you can optimize your Facebook strategy to get people more engaged with your posts. These cheat sheets won’t make you a Facebook guru but they do help you get more out of your efforts. Putting the right Facebook strategy is hard work but could pay huge dividends for your business.